When you are working with a smaller company, it is likely that people will be way more in touch and in close proximity to everyone else. This will result in more opportunities for flexible schedules as a result of people knowing each other and understanding each others’ schedule preferences. On the contrary, it is often difficult to get in contact with the higher-ups of massive corporations who do not know each of their employees individually. Working for a company that does–or, as a higher up, making sure you know all of your employees personally–provides unique privileges and benefits. This can include better vacation hours, ability to get off for emergencies, and other perks. There are many benefits to contributing to your local economy, and working for a small trucking company will give you the opportunity to participate in that. Often, it is difficult to see where money is going in bigger companies and they seem to get lost in the structure of the company. Instead, this will give you the ability to feed into your local town or city and do your part to boost the economy. It also provides the benefit that you know who you are working with, and how money is circulating. You will likely know those above you, and thus understand the flow of money and that it is going back to the community. The ability to form a close-knit community is a perk that extends to many facets of everyday life. 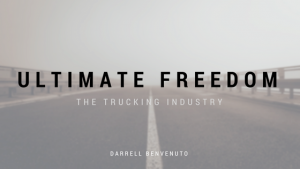 Often, it is hard for truckers to develop a stable community because of the nature of the job. 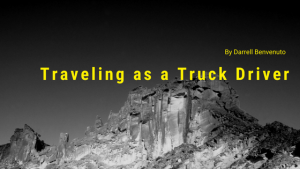 Having a common locus that they are based out of, and working with people who live in the town they are also familiar with will counter this negative facet of truck driving. There is the ability not just to build a community within the company and amongst truck drivers, but to relay that to the larger community of the town or city you are a part of. 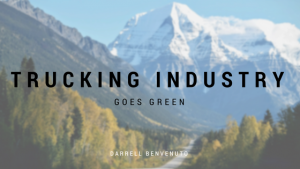 The Trucking Industry Goes Green?